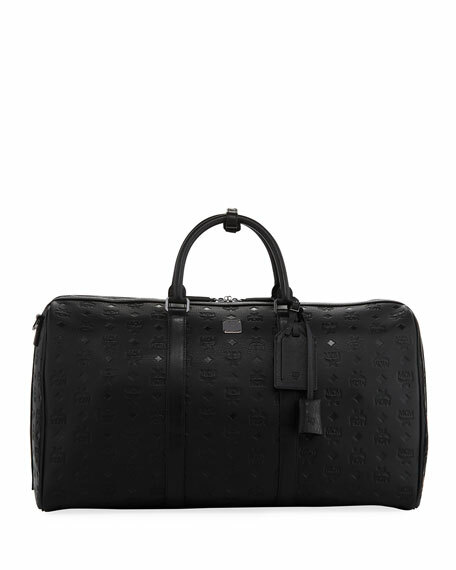 MCM "Ottomar" weekender bag in embossed leather. 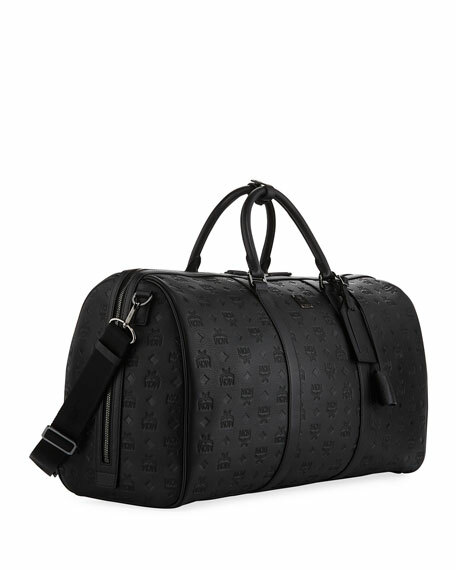 Rolled top handles with buckle clasp. Luggage and ID tag hangs from front. 11"H x 20"W x 9"D.
For in-store inquiries, use sku #2420222.